Hello beautiful people. 🙂 Can I tell you how thankful I am that you joined me in this fun series? I knew it would be a challenge to share a makeover every single day of March, but it was so worth it. 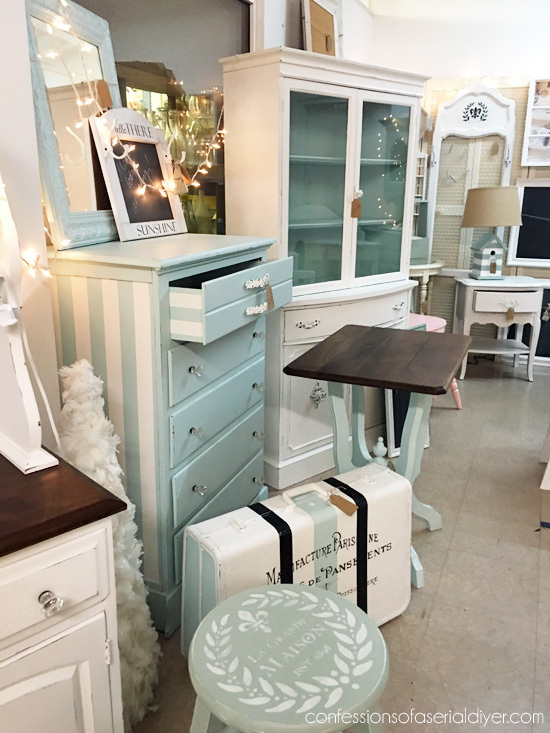 I loved meeting you guys here every day to connect over thrifty goodness! I know many of you reached out to let me know that you have been inspired. Inspired to paint, inspired to tackle projects that have been put on hold, inspired to see past the dated, dusty, plain old ugly pieces to imagine the possibilities that could be. Thank you so much for all your kind words and support. You guys are the best and the reason I love to create and share! 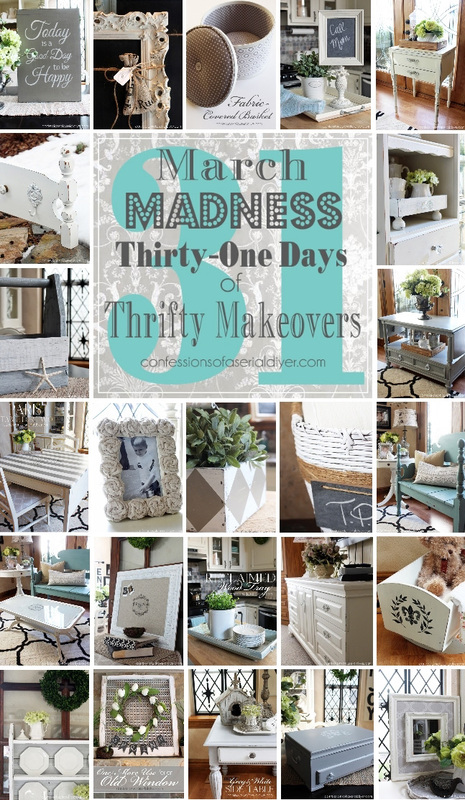 On to our final thrifty makeover of this awesome March Madness series…project #31!! You know I can never pass up a good frame. The same goes for mirrors. 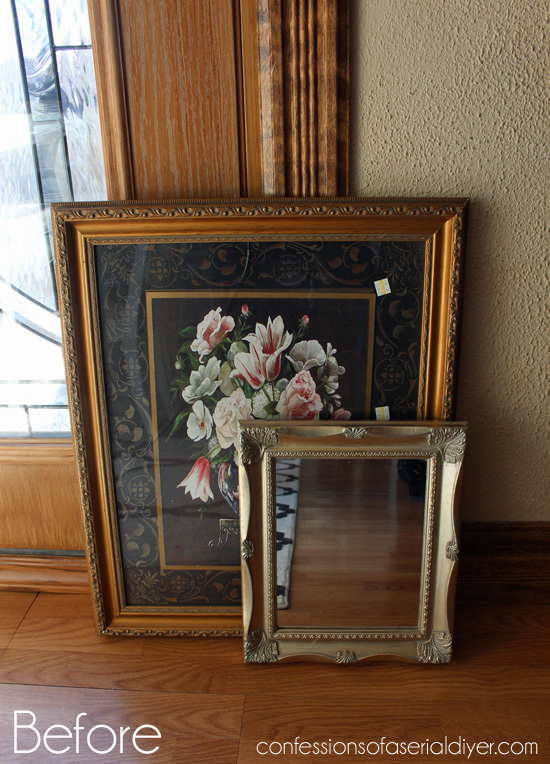 Here is a thrift store picture, complete with broken glass that I got for $3, and a mirror I found for about the same price. 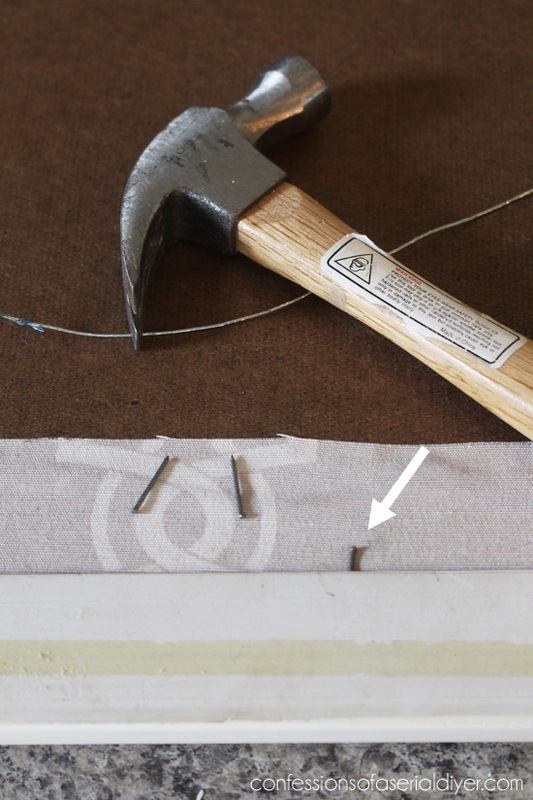 Recognize that fabric? 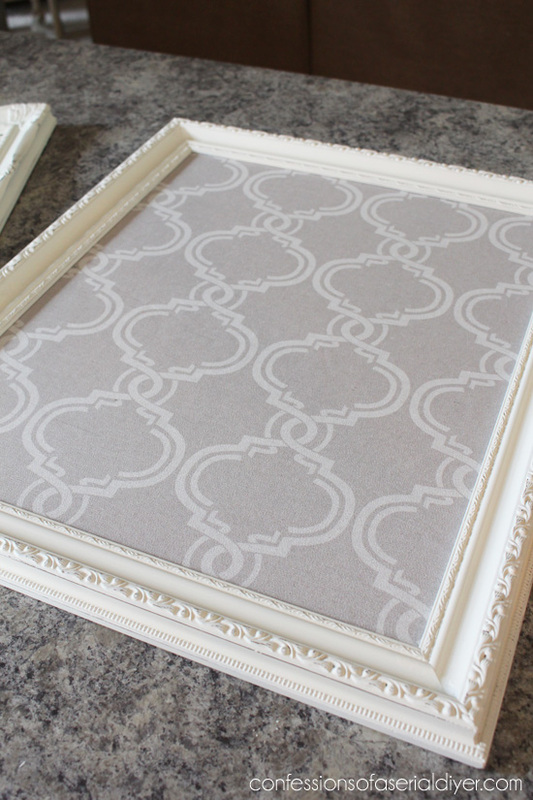 It’s left over curtain panel from when I reupholstered these chairs! Making this is pretty simple to do. I sanded a bit and waxed when the paint was dry. 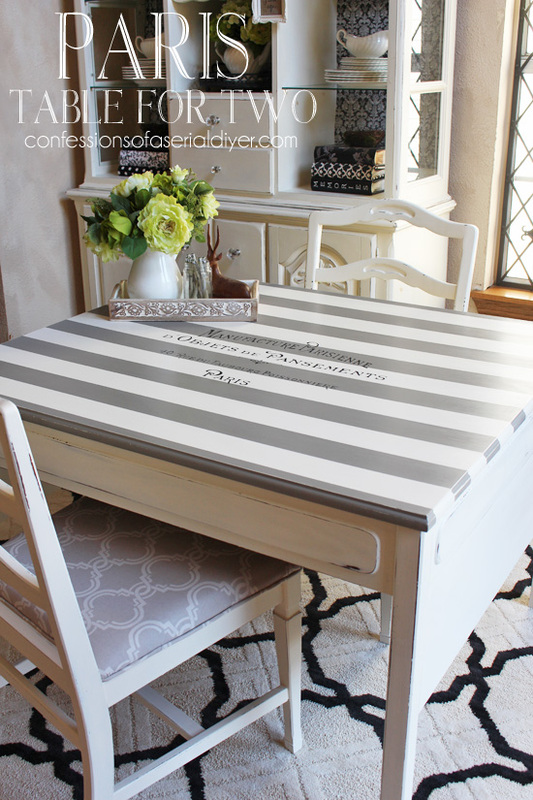 You could also use spray paint if you like, but I like the softness of the chalk paint. Pretty simple! I’m keeping this one, but if I were selling it, I would cover the back in brown craft paper to make it pretty on the back as well. 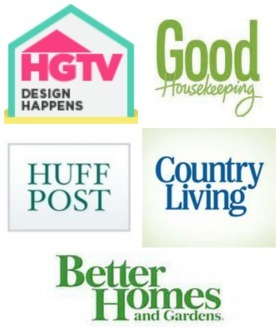 Christy, CONGRATULATIONS on the whole series of very successful DIY projects! It’s been a pleasure to see what you come up with every day — such creative work! 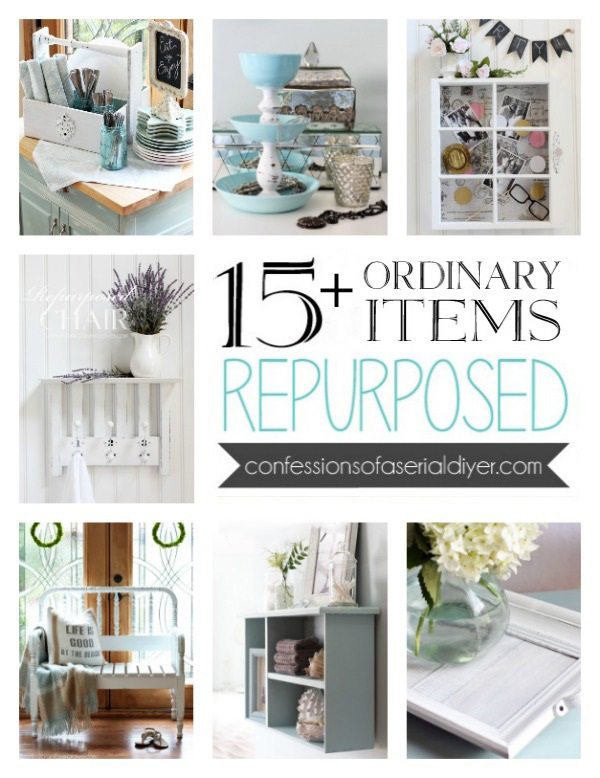 Thank you for sharing your creative and resourceful pieces — it’s been so inspiring! What a great idea! This is so neat! I love it! I can’t believe how much you’ve accomplished in 31 days! I would think you need a nap instead of a ceiling project Ha! Especially after all the work you did with your Mother’s bedroom furniture. That turned out beautiful, by the way. You’ve done well…..I’m amazed and impressed! You go Girl!! Good morning, Christy:) that is so beautiful. 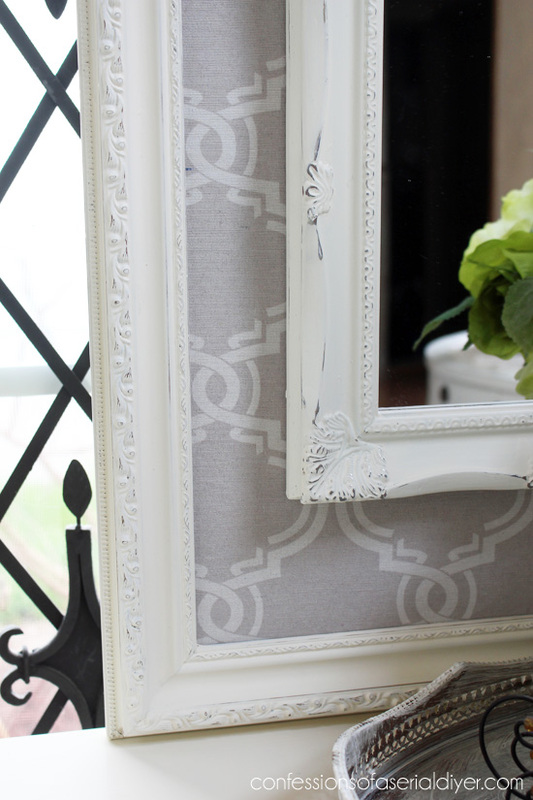 Love that fabric! It has been an excellent 31 days of projects and I learned a lot and got some great ideas:) March madness 2015 was a winner! Hi! I’ve really enjoyed your March Madness. Thank you so much for all the great ideas! You are very talented! Thanks for a wonderful month of creative ideas…my first stop every morning! Christy you are amazing!! I have really enjoyed your March Madness!! I can’t even pick a favorite there are so many!!! 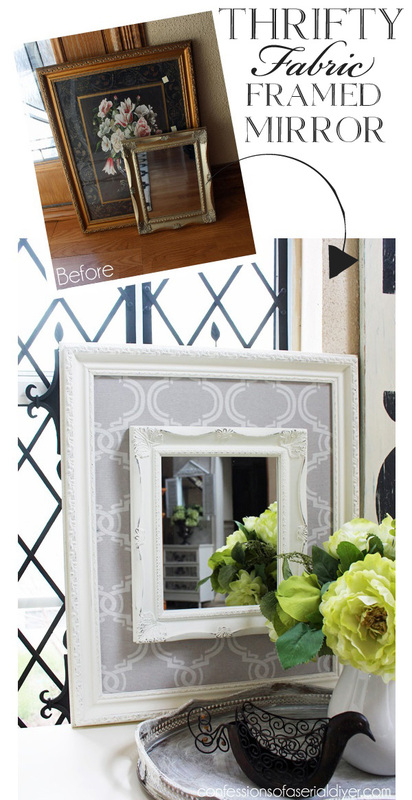 Last but not least, another GREAT makeover!! Thanks so much for all your inspirational pieces and great tutorials. You are the best!!! I don’t know how you did it. One project a day for a whole month, I have trouble doing one project in a couple of days… I could never do that.. Great job..!! Yes this one is a keeper, I love it!! You inspire me to be so much more creative. 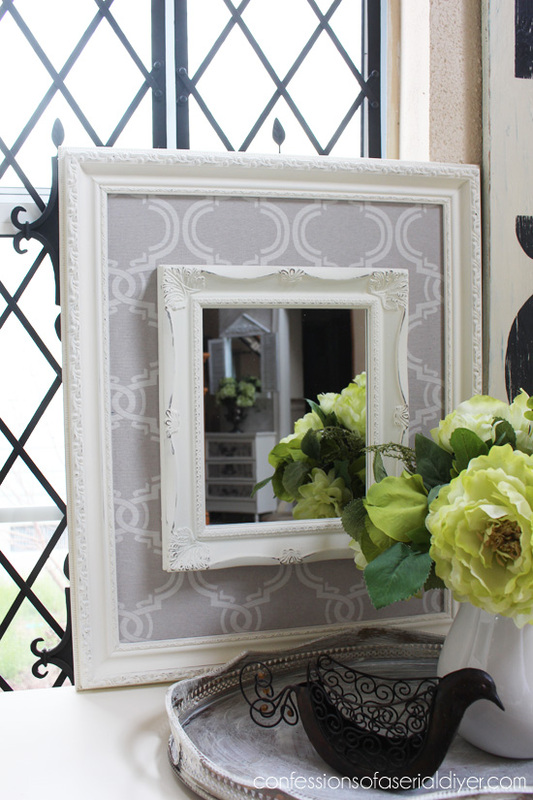 This mirror project is so beautiful, I think one of my favorites of the month. You have done some amazing projects this month and I have enjoyed it so very much. Good luck getting that ceiling done, I am sure you will in short order. You really accomplished a remarkable feat with beauty and amazing creativity. Congratulations!!! 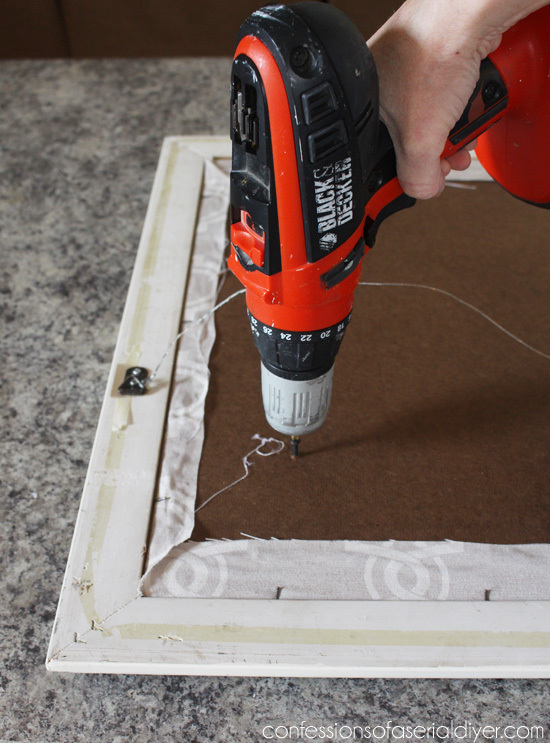 I’m new to your site and have never left a comment before today, but your 31 day challenge has been so filled with great diy projects that I found myself looking forward, each and every morning, to opening up your blog and seeing what you have been up too. You’ve been one of the highlights of my day and I will miss seeing your daily posts, but will always look forward to seeing your projects as you find the time to let us in on your projects. Thank you for sharing all your wonderful ideas. This one was really a surprise and of course it looks fabulous! Congrats, everyday was a huge success, thanks so much for all the stellar makeovers! That’s such a pretty project! It’s been an inspriation reading your posts every day. Thanks for taking the time to spend a whole month sharing your projects with us! Thanks, Brigitte! And it was my pleasure, really! Ya’ll are so sweet, I loved being able to share every day! Lovely as usual!! I can’t believe March is over! You have so many great ideas and I’ve enjoyed every one of them. You are truly an inspiration! Totally brill!! It looks amazing. What a posting Marathon – good for you, friend. I’m impressed!! Wow. A whole month. I very much enjoyed it!! I will miss the daily show and tell. Thanks for your hard work!! Thanks for a fun and creative March!! I have totally enjoyed your posts this month! It was a treat to open my email and see what you had in store. 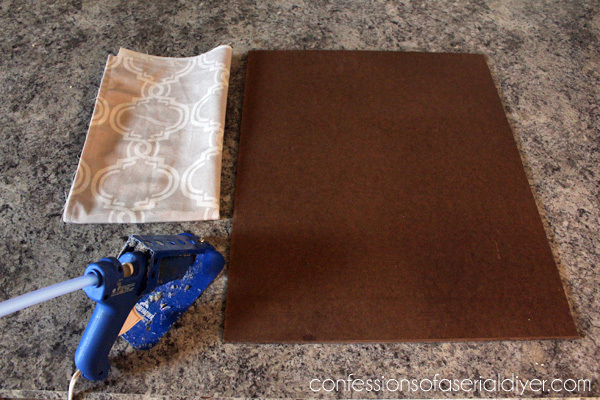 I plan on trying a few of your projects. (Even found an old sewing machine cabinet at my local thrift store. Wish me luck!) Thanks for your daily ray of sunshine to a Midwest gal. I’ve looked forward to your creative genius daily during this month of March Madness. 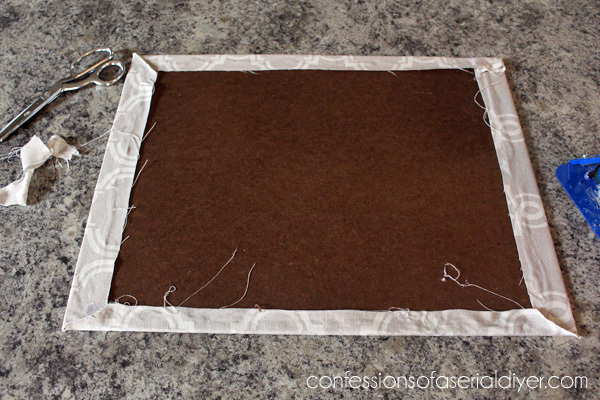 Thanks for the exciting journey…so many ideas and detailed instructions. Another month of Madness somewhere down the road, puhleez? 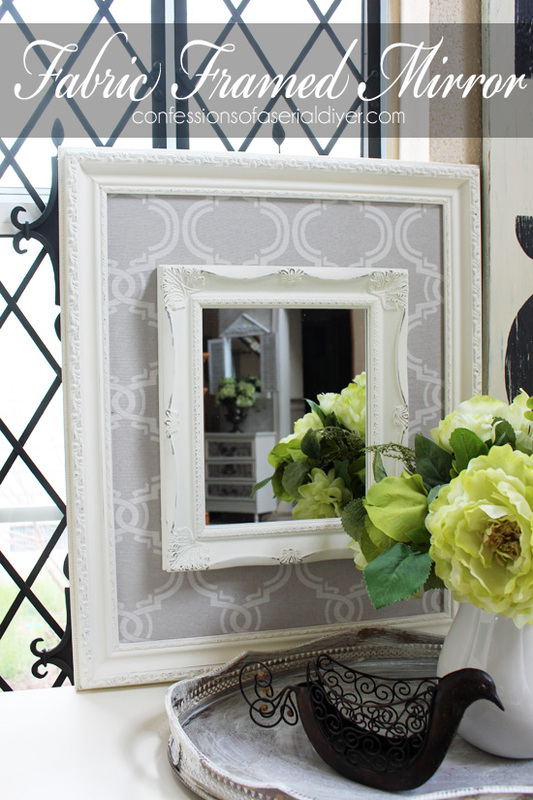 Oh my love the mirror frame. 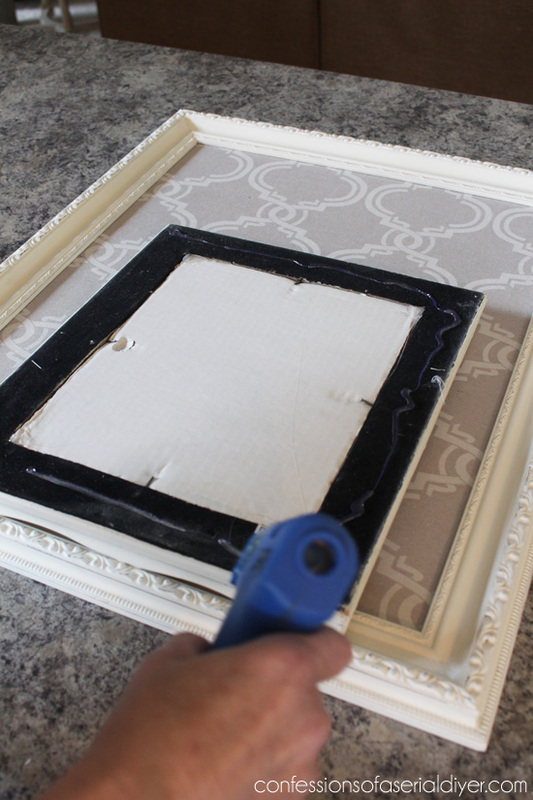 I’m going to have to go thrifting and see what I can fnd to do this. Thanks for the 31 days of projects. Good luck with the ceiling! Thank you so much, Rose! I did cheat a little as I had several projects completed before the month started. 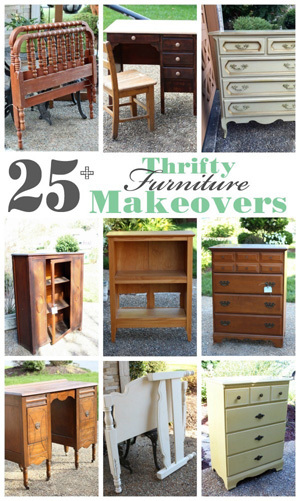 I’m glad you are enjoying following my thrifty makeovers! Christy, I loved every single project. 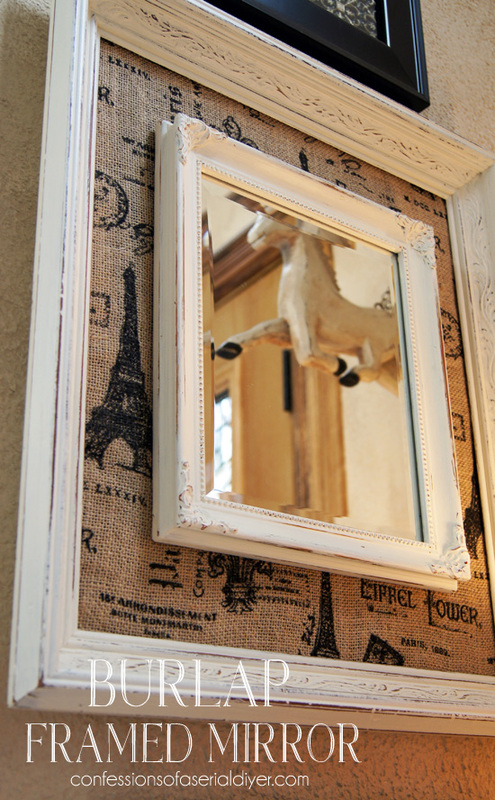 I have been looking in my garage to repurpose some pieces I have, using your ideas. I love the look you always achieve so well. Thank you! Fantastic finale project Christy! I’m glad to see you’re keeping something for yourself from this series. A reward for all your hard work. Thank you so much for bringing us this series, I’m going to miss it! Christy, thank you for your 31 great projects. I have enjoyed them all. I love the makeover for your mom especially. It’s always great to do something special for someone you love. 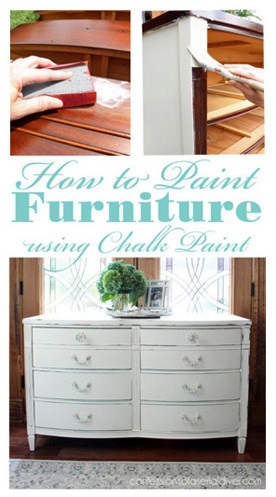 I’m going to try your chalk paint recipe, fingers crossed. Lol! I enjoy your blog and look forward to seeing more great ideas in the future. Good luck on your ceiling. Christy I love this! I know I keep asking you but I would love for you to come and see a desk that Melanie has. It is black and they want it white washed. Let me know when you can come take a peak at it. Call me my friend – I will take you out to dinner again when it is not raining! Mel & Michael bought a house on 82nd street, so not too far from me. Miss you! Christy, I have thoroughly enjoyed your March Madness Series so much I’ve become a follower AND a subscriber! I wish you could do these in a 365 series, though once a week may be more realistic? Thank you for all of your efforts! Well, it’s over…but so much fun while it lasted 🙂 What I like about you and your site is that you make all these projects so doable. Of your 31 projects there are about 10 I have put on my to-do list. Thanks ever so much!!! Hi Christy! 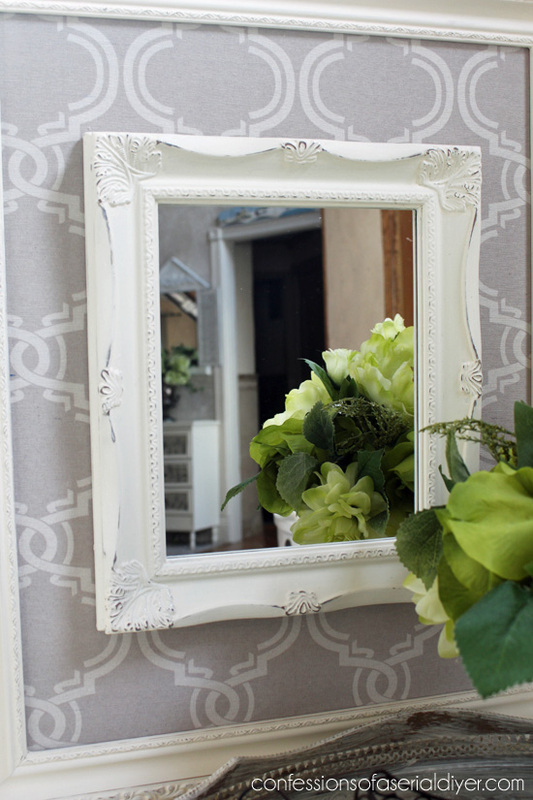 I can’t get over how fabulous this mirror on frame creation is!! You have one creative mind, girl! 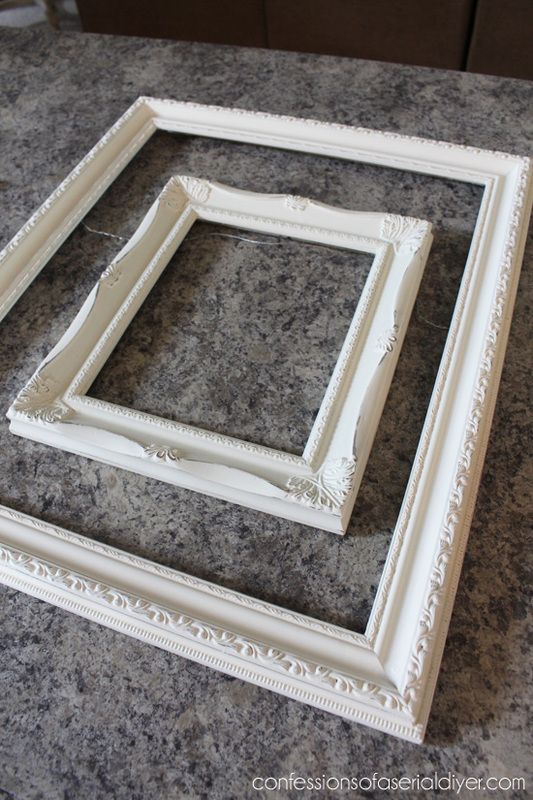 I have some old decorative frames in my storage room that came out of my in-laws home, I know one of those will be perfect. Now I have to get my hands on a mirror. You would be amazed at how few (2) flea market/thrift shops there are in the small city I live within. I usually have to travel to some nearby small towns to find the “good stuff”. Thank you for sharing your lovely creation, I can only hope mine turns out similarly well. Happy Easter! BTW, I forgot to tell you how much I have enjoyed March Madness. My inspiration book is stuffed full of new ideas! Awwww, I’m so sad this is over!! I have looked so forward to your post everyday. I don’t think there was a project I didn’t love! I just don’t know how you come up with all this stuff. You have an amazing eye and great creativity! Oh, and TALENT! 🙂 Thanks for spending your month of March with us. This looks so nice and expensive! Bravo! Bravo! thanks for sharing! What a joy to check in every day and see your inspired projects! 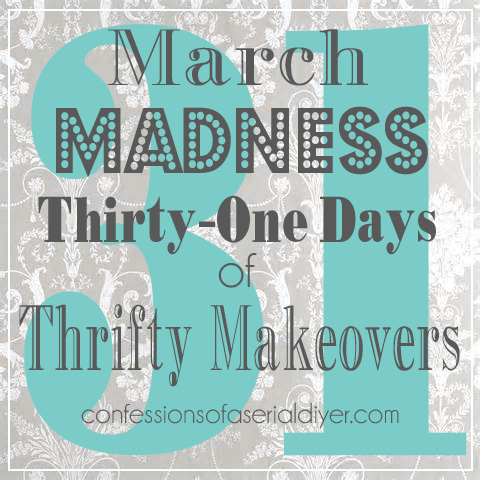 I’m not a “crafter” since I have absolutely no ability there but I’m thinking of tackling a couple of your 31 Day Thrifty Makeovers. Thank you for beautiful ideas. I have so enjoyed checking my e-mail each day to get your creative posts. thank you sooooo much for doing this. There are several ideas that I want to try. I love everything that you do! What style you have! I’ve enjoyed every day! Thanks for all the great projects. Maybe I’ll meet you one day soon, as I’ve been planning to visit your booth and just haven’t gotten there. This one is by far my favourite, what a great idea! Thanks for sharing your awesome mind with us for the last 31 days! I have loved it! Oh my word – these were all so fun! thanks for sharing… I learned a lot from following this month. Hope your blog continues to do great! Have a blessed day. Thank you for making March so much fun with your 31 days project! I have gotten SO many good ideas here.